Diamond is a precious crystalline stone made from pure carbon. Also, a hardest naturally occurring substance with greatest thermal conductivity. Diamond is the hardest material on earth – according GIA, 58 times harder than anything else in nature. Diamonds are the only gem made of a single element as around 99% of it is carbon. Most diamonds are formed more than a billion years ago. Synthetics diamonds are also making its way into the diamond industry – the only problem with such diamonds is that while they share similar properties to natural ones, they are manmade which the defeats the purpose of buying diamonds to begin with. Imitation is also available for diamonds in the market – these are manmade gems using various minerals. Diamond is a Greek word that means unalterable or unbreakable. Their first mining site (many centuries ago) is believed to be located in India where it was a religious icon relating it to “thunderbolt” of their warrior god. Diamond was first found near the Indian rivers of Penner, Krishna and Godavair. Research and epidemiological evidence show the earliest findings of diamond dates back to 4th century BC when it became a valued mineral. A sign of power, hope, respect and honor. 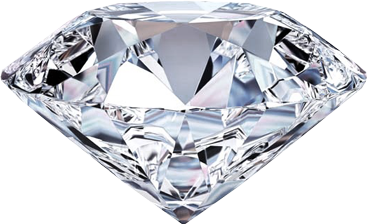 In 13th century, diamonds were introduced as a jewelry in Europe. Since then there has been a continuous growth in market strength of diamond as a precious stone. Venice (1330s) has the crown of having the earliest diamond-cutting industry. Year 1867 brought a radical change in the diamond market when diamonds were discovered in Cape Colony, South Africa. This not only brought new diamonds, but also made it more readily available at a relatively cheaper prices, since the diamond production inclined by at least tenfold. This South African discovery of diamonds was no less than a miracle when 15 year old Erasmus Jacobs found a first diamond on his father’s farm located on the South bank of Orange river. Today South Africa is an unbeatable producer of high quality diamonds. The diamond that we see in the market are different from what they look like when extracted from mines. There is a sequence of several steps involved in the processing of diamond which includes: Mining—> Crushing—> Grinding—> Ore Separation—> Concentrate Dewatering—>Marking —> Cleaving —> Sawing —> Cutting —> Bruting—> Polishing —> Final inspection. Sawing is the cleavage process for any diamond and it involves separating finished gemstone product. This is done using a diamond saw or laser. 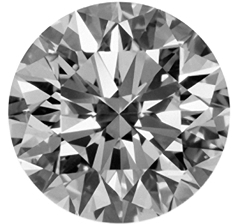 The first step in cutting is Planning since the foremost objective is to save most of the diamond with the best desired shape. Next step is “maximizing value” where there is a constant effort to uplift the value or worth of the diamond. “Weight retention” “color retention” and shape of a resultant diamond are three dominant factors involved in maximizing it’s value. Bruting is defined as the process of rubbing of two diamonds in opposite directions making them grind against each other hence giving them a typical round shape. Polishing is also called “brillianting" and it involves steps like blocking and faceting. Final inspection is a very important process in the processing of diamond before it can be sold in the market. This is to ensure its reality as well as reliability. It stamps the diamond’s trueness.